The South Florida PGA Foundation annually partners with various local organizations to raise awareness and funds to support South Florida PGA Foundation programs. If you want to get involved with the Foundation you can do so by supporting us through a third party! Format for the event: Team two best ball of four one gross/one net (90% handicap). Maximum score allowed per hole is triple bogey. Registration is first come first served based on a field of 24 teams. For more foundation information or to make a donation to the foundation click here. “The South Florida Professional Golfers Association Foundation has developed a very important initiative in its PGA Hope program. This program will help many, many veterans find their way back into society. The U.S. Military is very pleased to be partnering with this charitable organization to achieve such an important objective. I invite you to join us at Loxahatchee on May 10th” . Cost to participate including golf, breakfast, lunch, tee gift, purse payout and more is $595 per team. Teams MUST be comprised of one PGA Member/Associate and one Amateur. 2018 Low Professional - Andrew Filbert, PGA (48) / 1st Gross - Justin Hicks & Chris Hatfield (57) / 1st Net - Jerry Impellittiere & Bob Dewit (63) - Click here to view complete results. 2017 Low Professional - Brian Peaper, PGA (41) / 1st Gross - Sal Spallone & Bill Mallon (47) / 1st Net - Cary Sciorra, PGA & Tom Corr (51) - Click here to view complete results. In 2016, the SFPGA Foundation had 1,300 juniors participate in four different levels of play, 60+ veterans participate in PGA HOPE, 124 children receive golf tips from nine PGA Professionals through our Smiling Fore Life program, four deserving students receive scholarship grants for their education, nine charities receive grants to support their programs and 1 deserving family purchase their very first home supported by the SFPGA Foundation through Habitat for Humanity of Martin County. As we strive to impact more lives through the programs we administer, we need the help and support of the local community! How can you help support our continued growth? You can become a Foundation member. Please note all items will have the SFPGA Foundation logo. If the levels outlined above do not work for you, please note a donation in any amount can be made as well. The South Florida PGA Foundation is a not-for-profit organization founded to support the South Florida community, with a focus on junior golf, education and scholarships, and charitable gifting. The South Florida PGA Foundation falls under the direction of the South Florida PGA, a not-for-profit organization comprised of over 1,800 men and women PGA Professionals serving as the experts in business and the game of golf. In 2004 the South Florida PGA Foundation began operations as a 501(c)3 non-profit organization founded to support the South Florida community. Q: When was the SFPGA Foundation created? A: The SFPGA Foundation was created in 2004 to support junior golf, scholarships, education and charitable gifting. Since its inception the Foundation has grown over 460% impacting the lives of more than 8,500 individuals throughout the south Florida community. A: The mission of the South Florida PGA Charitable Foundation is to support and conduct junior golf programs, grant scholarships, and provide charitable gifts for the South Florida community utilizing the 1800 PGA professionals of the South Florida PGA to support these efforts. Q: What programs operate under the umbrella of the Foundation? A: Charitable Gifting – Annually countless charities in south Florida receive grants from the SFPGA Foundation to help support their programming, including but not limited to various junior golf associations. Scholarship -- Developed in 2018 the South Florida PGA Foundation annually provides one local student with a four year, $20,000 scholarship to assist with their college education. The student selected to receive the schoalrship will receive it in $5,000 increments over the course of four years. In order to receive funding each year, additional paperwork including a copy of the student's transcript must be submitted to the SFPGA Foundation to ensure the student is performing at an acceptable level. the program provides to the children it also affords SFPGA Professionals the opportunity to get more involved in the local community. PGA Hope – New in 2015, PGA Hope is a program designed to provide local military veterans with an opportunity to learn the game of golf as form of rehab from local PGA Professionals. Since it's inception our program has touched the lives of close to 400 veterans across our nine host sites. Habitat for Humanity – Annually the Foundation financially supports one home build/refurbishment for Habitat for Humanity. PGA Professionals are asked to volunteer their time to help with these projects as a means of getting more involved in the community. SFPGA Junior Challenge & Championship Tours -Two premiere membership-based junior golf programs providing competitive and fun tournament experiences for golfers with the aspirations and skill levels to compete at the high school and collegiate levels. SFPGA Prep Tour – The Junior Prep Tour is our entry level tour for junior golfers from ages 9-18 who are looking to make the jump from Team Golf and other entry level junior programs to the next level of competition. SFPGA Team Golf – A fun, less stressful approach to tournament golf for junior golfers ages 6-14 with beginning level golf experience which provides PGA Professionals and apprentices an opportunity to grow their clientele by fielding a team. Q: How are funds raised to support these programs? A: The SFPGA Foundation annually conducts two Pro-Am’s to support Foundation activities throughout the year. These events serve as the Foundation’s primary fund raising activities thanks to the support of our corporate partners; Hertz and Tire Kingdom. Outside of golf events, funds are raised through public, corporate and member donations. The Foundation is extremely fortunate to have great friends in the community who believe in the mission and annually look to support our cause. Q: How can you get involved? 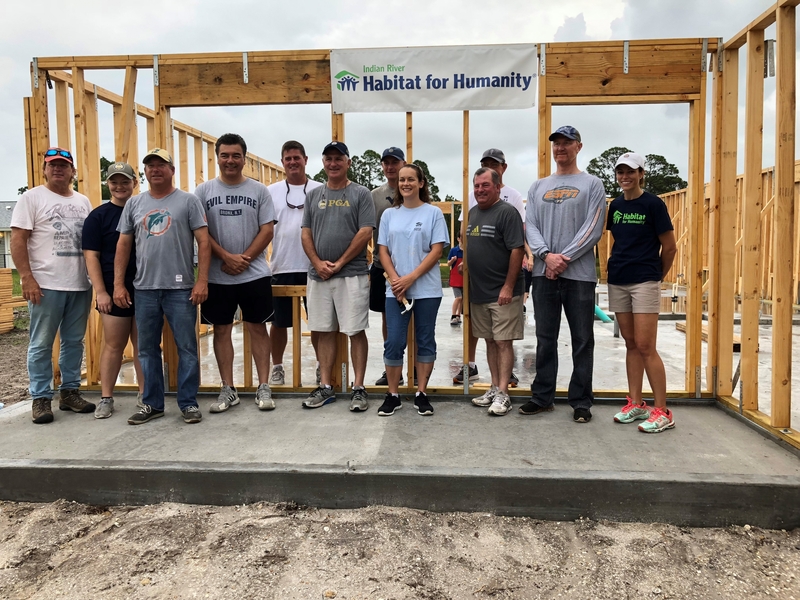 A: Individuals can volunteer at a Junior Golf event or assist on a Habitat for Humanity home build day. Outside of volunteering time individuals can participate in one of the two Pro-Am’s held annually, host a Team Golf team or conduct a fund raiser through PGA Golf Day.